Tim Campbell; star of stage and screen, actor, MC, singer, self-confessed ’80s tragic and proud owner of a new baby entitled ‘Electrifying ’80s’. 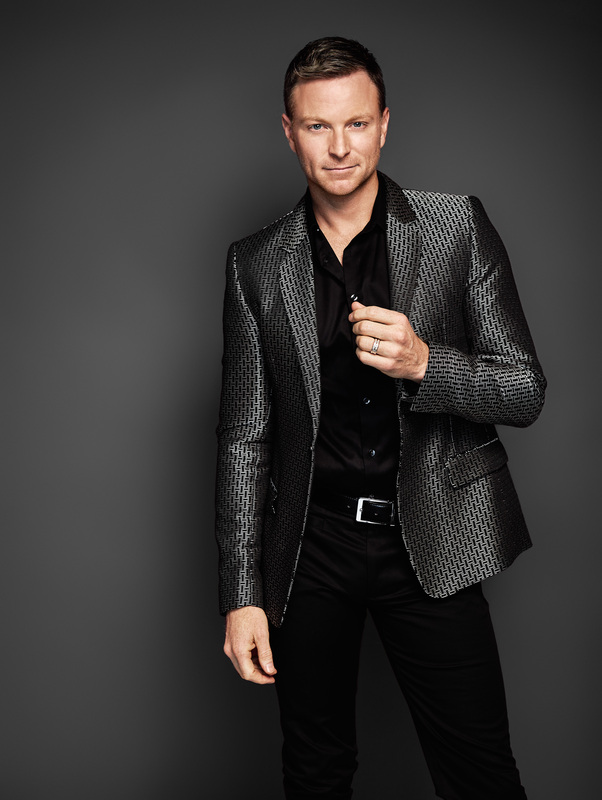 He’s a seriously affable gent with the biggest dimples in the business and a penchant for pop. More specifically, ’80s pop. Four years on from his debut long player ‘High School Disco’, Tim returns with an ode to arguably the greatest songwriting trio in the history of pop, Stock Aitken Waterman. So we begin by asking him what those three names mean to him. “Basically with this album, I knew it was going to be an ‘80s album. But instead of just picking my favourite ‘80s songs, I thought there had to be a reason behind it… what does the ‘80s mean to me. And to be honest, Stock Aitken Waterman was the first thing that came to mind,” he begins. “I fell for The Hit Factory. I was a pop loving kid back then. And still am. My sister would constantly play Kylie Minogue tapes. I had Bananarama’s ‘Wow’ album and the greatest hits as you do with every artist. Dad loved Bananarama more from watching ‘Rage’ really rather than the music. So it was almost a no-brainer. With such a massive back catalogue of classic hits to choose from, we ask him what his favourite of them all is. “God… You know, it actually was ‘I Want You Back’,” he reveals. “And I guess that was the ‘mark two’ version as well when Jacquie came on board. I liked Jacquie’s vocal. I just remember having that on a VHS and constantly watching it and loving it. A bit like Sonia’s bubbly ‘You’ll Never Stop Me Loving You’ video, we add, given the songs is virtually about her stalking her ex. “Sonia was lovely, had her boozies out and was dancing to the camera singing about it. Bananarama were also happy while singing ‘don’t care what I have to do’. Jason Donovan was happy sitting in on the porch of the cottage in the country with his guitar singing about too many dreams being broken in two. “‘I Want You Back’ is the song that we started from scratch. We were working on it and it just wasn’t working for me. It was still up-tempo, but something just didn’t feel right. So we literally deleted the file and started again. With such a huge range of classic songs to choose from, Tim admits it was a difficult choice whittling them down to the ten that made the final album. A respectable decision, some may say. “(laughs) Thankyou very much – and goodnight. Whatever resonated with me and even thinking what we could do with it as well… Even ‘I Should Be So Lucky’… It has been done and re-done a lot, so I decided against it. ‘Locomotion’… I already had enough that was written by Stock Aitken Waterman, so I left that one aside. “‘Hand On Your Heart’… I used to love the video clip to that as well. And that’s like the perfect feel-good Kylie Minogue song to me. It has all the elements. We changed that a couple of times production-wise as well. It was starting to sound like an ‘80s remix, so we had to 21st century it up a bit. But even though a good balance of past Stock Aitken Waterman hits ended up making the final cut, Tim was very careful not to tip over into the 1990s. The track that Tim found the most challenging to tackle on the new record wasn’t by a big name artist like Kylie, Jason Donovan or Rick Astley, however… It was one from the early days of SAW. “The one that I was fearful of the most was ‘You Think You’re A Man’,” he admits. “Only because some people don’t know it as much as the others, for a start. I was a late bloomer with that song as well. I didn’t really know of it at the time it was out. And also the way that Divine does it, which is so great, she has the roughest voice and it’s almost half-spoken as well. “So to make sure there’s a full melody on it this time and not just a spoken version… we were worried it would differ too much from the original. But that one has turned out to be one of my favourites on the album now. Given how highly regarded and celebrated the songs of Stock Aitken Waterman were (and in many respects still are), we ask him whether he’s had any stick from the SAW faithful. “I haven’t copped any negativity at all. I don’t know whether it’s because we freshened up the songs or we’ve all moved on from that. It’s probably a love/hate relationship and now you can actually come out of the ‘80s closet and enjoy it without having to complain about what it’s about. “Maybe once it’s released in the UK I’ll get a couple of musical aficionados writing and saying, ‘you’ve touched the devil’. But the devil to me is my god, because as I’ve said, I fell for this pop music. I don’t care how ridiculed it was or how simple it was, I bloody loved it. And still do. “The only other thing that I’ve done with Stock Aitken Waterman now is to educate a younger generation. People know the songs, but they don’t realise the heritage of it and where it came from, including two of my band members because they’re too bloody young. Those bandmembers will soon be hard at work, playing these songs with a fresh appreciation at a one-off show at The Palms At Crown in Melbourne this November. And while there are plans to take the SAW show on the road, Tim tells us that those plans will have to wait until early next year. “I haven’t got the time,” he exclaims. “With all of my other work and events, I’m fairly booked up this year. Especially wanting to travel interstate – and Fridays and Saturdays are the best days to do it – I just can’t do it. “You know, with this music, you’ve got to play it live, which I do anyway with my band. I’d really love to take it into different theatres and clubs and what have you. I’m definitely looking at dates next year to take it on the road. As for what comes next, Tim says he’s already started putting together some ideas. “The way this one’s been so well received already, it’s been a little bit overwhelming, to be honest. Especially when it is your own thing. As soon as I’ve said Stock Aitken Waterman, it’s actually excited people. It’s been really great. 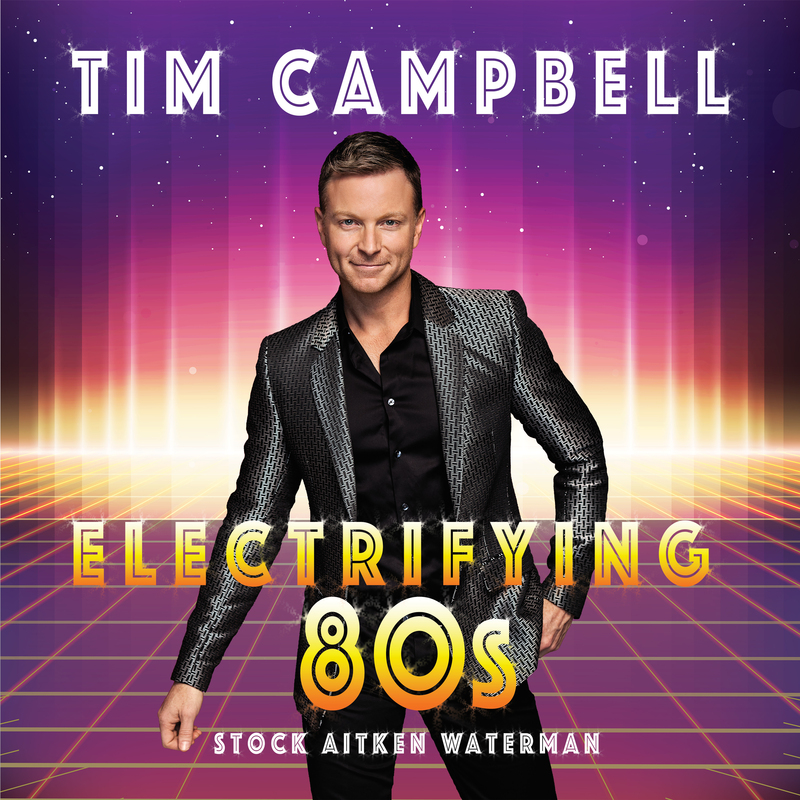 Tim’s album ‘Electrifying ’80s : Stock Aitken Waterman’ is available now. He’ll play The Palms At Crown in Melbourne on Saturday November 03. Tickets are available now.